People who work with handheld vibrating tools and machines can be at risk of incurring vibration injuries. These injuries develop gradually and may be incurable, meaning discomfort and even time away from work. 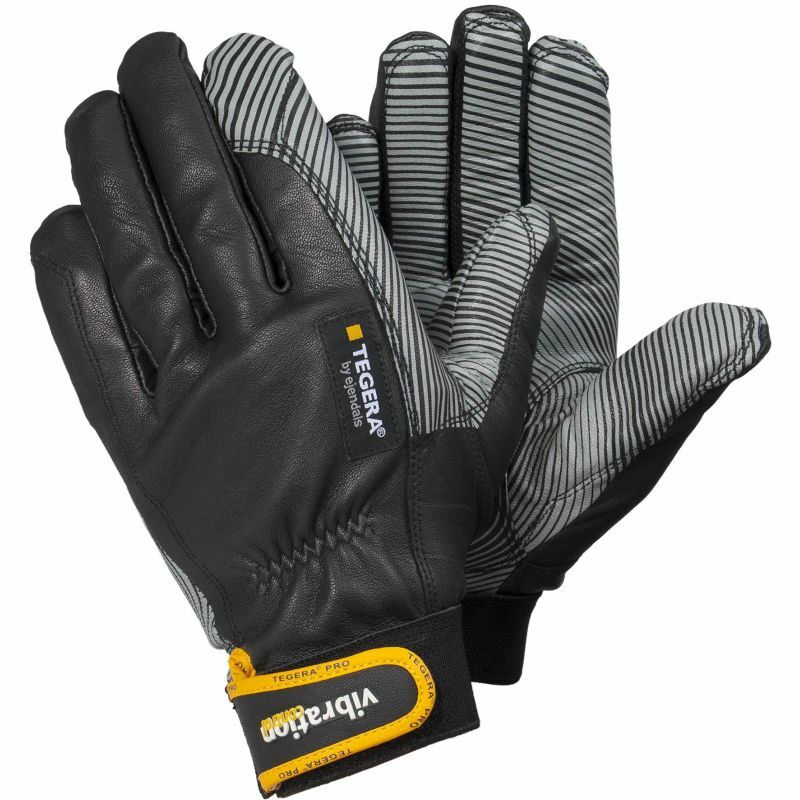 The Ejendals Tegera 9181 Anti-Vibration Work Gloves are durable chrome-free synthetic leather work gloves which feature special vibration-absorbing Vibrothan fibre. With a reinforced design, the Ejendals Tegera 9181 provide a high level of protection and are suitable for heavy work. 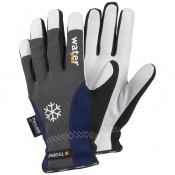 The Ejendals Tegera 9181 Gloves are supplied in a black/grey/yellow design. 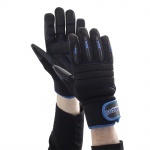 They feature a secure Velcro fastening at the wrist, providing a greater level of fit and comfort. 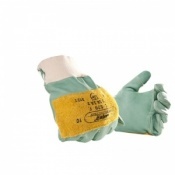 The product code for these gloves is 9181. The table below showcases the test results of the Ejendals Tegera 9181 according to EN388 Mechanical Risk specifications. The Ejendals Tegera 9181 are offered in three different sizes, the dimensions of which can be found below. To measure your hand, measure the circumference of your hand around the knuckles (excluding the thumb) with your hand open and your fingers together.